Bergamot is a lesser-known citrus tree that resulted from a cross between lemon and orange trees. Its essential oil is packed with the therapeutic phytochemicals found in these citrus fruits, one of them being limonene–the essential oil compound found to have anti-cancer, anti-aging, anti-anxiety and antidepressant effects. Bergamot oil is a top choice among essential oils that promote calmness and relieve anxiety, as it’s proven to stimulate hormones that help you relax. As a plus, its aroma blends well with other essential oils that have calming effects, including lavender, cedarwood, rosemary, clary sage and ylang ylang oils. Bergamot oil is shown to lower stress, anxiety and nervous tension, and even reduce blood pressure. It stimulates the activity of serotonin, which is a neurotransmitter that promotes relaxation and uplifts your mood. Meanwhile, it’s proven to lower levels of the stress hormone cortisol, which is linked to anxiety and depression . To get these benefits, you only need to inhale the aroma, as the active phytochemicals in bergamot oil cross through the blood-brain barrier and directly modulate regulatory systems in the brain to create its therapeutic effects. You can massage 1 to 3 drops into your temples or neck when you need to relax, or you can take 1 to 3 drops per day under your tongue or mixed in a spoonful of honey. The stress-relieving ability of bergamot essential oil can help you relax before bed and dispel negative thoughts that may keep you awake at night. Beyond that, animal studies have shown that an active constituent of bergamot oil known as limonene is able to increase the duration of sleep . Diffusing bergamot oil in your bedroom before going to sleep may be helpful if you have insomnia. You can also put a few drops of bergamot oil onto a cotton ball and leave it next to your pillow at night to inhale the aroma while you sleep. Studies show that the active constituents in bergamot oil, including alpha-pinene and limonene, create antidepressant effects by modulating the autonomic nervous system. These effects have been measured by various parameters that indicate stress levels, including blood pressure, heart rate, respiratory rate and skin temperatures . By boosting blood circulation in the brain, bergamot oil stimulates energy in the mind that can help clear stagnant negative thoughts. In a study on 50 women receiving mental health treatment, 15 minutes of inhaling bergamot essential oil in a room with an essential oil diffuser significantly improved positive feelings compared to a control group. Researchers concluded that bergamot oil could play a role as an adjunctive treatment for mental health therapy . Bergamot oil isn’t just helpful for your mental health and mood, but also your skin. If you struggle to control oily skin or you have dark spots, scars, stretch marks or other discoloration, applying bergamot oil can help even out your skin tone. It also normalizes the production of sebum–the skin’s natural oil–so you can use it to control oily skin. Bergamot essential oil also beautifies skin and helps it stay young by providing an antioxidant action that fights free radical damage. While it can help the skin recover from UV sunlight damage, it should not be worn on the skin and exposed to the sun, as the sun chemically alters it in a way that can cause harm . The antimicrobial properties of bergamot essential oil make it helpful for killing off bacteria, fungus, mold and other unwanted pathogens, whether inside the body, on the skin or in your home. Combining bergamot oil with a carrier oil like coconut oil or olive oil and applying it to the site of a minor wound or cut can help prevent infection. Taking 1 to 3 drops a day under your tongue or mixed into juice or a spoonful of honey can help take a load off your immune system, especially in flu season . Bergamot oil can help relieve pain and promote recovery in sore muscles and joints. By reducing inflammation and increasing circulation, rubbing it on your sore muscles can help them recover faster, and applying it to joints can reduce stiffness and pain. By stimulating the activity of serotonin and other hormones it downregulates nerve sensitivity to pain, meaning it lessens feelings of pain in the body . In a study, hospice patients received hand massages with massage oil containing either bergamot essential oil for just 5 minutes over 7 consecutive days. Compared to control patients who had massages with just almond oil alone, the bergamot oil group had reduced pain scores for the days they received hand massages . In addition to soothing the nervous system and modulating your perception of pain, bergamot oil also soothes smooth muscles, acting as an antispasmodic. This means it can help relieve painful cramps and convulsions, such as stomach cramps, menstrual cramps and abdominal pain associated with irritable bowel syndrome. It also loosens muscles that have tightened, whether from stress and mental tension or from physical exercise. It also acts as a natural cough suppressant for spasmodic coughs. 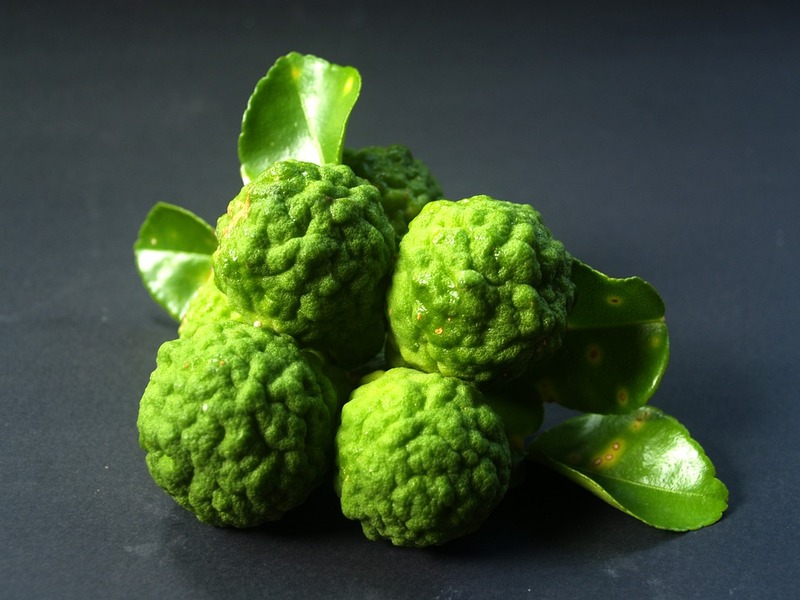 When you have a cough, bergamot oil can also help you expel mucus, thanks to a molecule it contains called camphene. It’s an expectorant and decongestant, meaning it breaks up and thins out mucus so that it can be expelled. This helps clear up unproductive dry or wet coughs. Bergamot oil contains a plant chemical called bergapten that becomes poisonous when exposed to sunlight. It needs to be kept out of sunlight and stored in dark bottles. Stay clear of sunlight after applying bergamot oil to your skin. Bergamot oil is best enjoyed as an aromatherapy oil by adding a few drops to an essential oil diffuser or to a warm bath. You can also add bergamot oil to household cleaning sprays, homemade deodorizers, perfumes and personal care products to incorporate its benefits into your life.